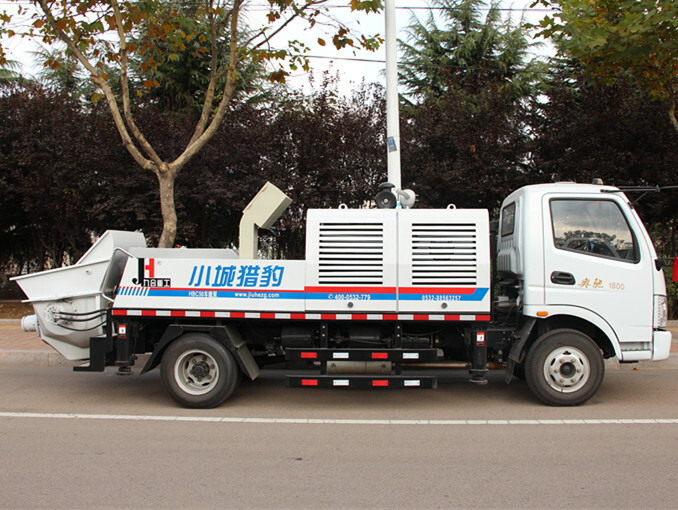 Truck mounted concrete pump is a good integration of Jiuhe concrete transporting pump mechanism and the high quality chassis, synthesized the advantages Jiuhe pump truck and the advantages of Jiuhe trailer concrete pump with the feature of stable performance, appealing design, easy for maintenance, flexible operation, conveniently site transfer and transportation. 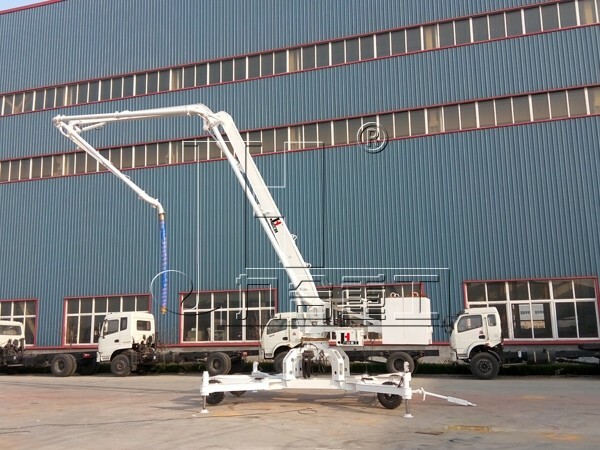 Jiuhe cooperates with internationally known industrial design company to have the product combined aesthetic thoughts, making it with a all around creative design, then the new vehicular concrete pump was launched after a full research on its reasonable whole layout. Adopting Europe fashionable design idea makes product appearance beautiful, styled, smooth and human-friendly. 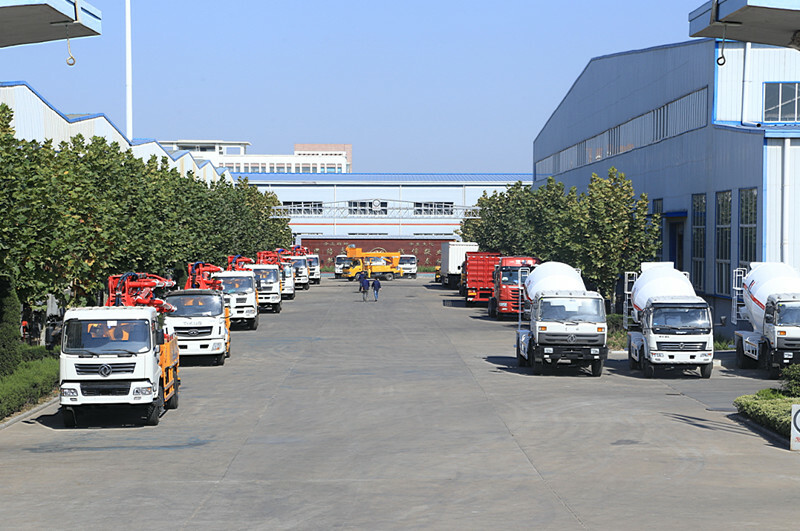 All of those Giveing customers a great feast, and at the same time, the convenience of operation and maintenance are also increased a lot. Thoughtful attention to every details guarantee product with excellent quality. it adopts original VOLVO/DEUTZ/LOVOL diesel engine. It adopts German HAWE, Rexroth series and Japanese Kawasaki series. It adopts variable displacement piston pump, making sure system with a stable and reliable performance. 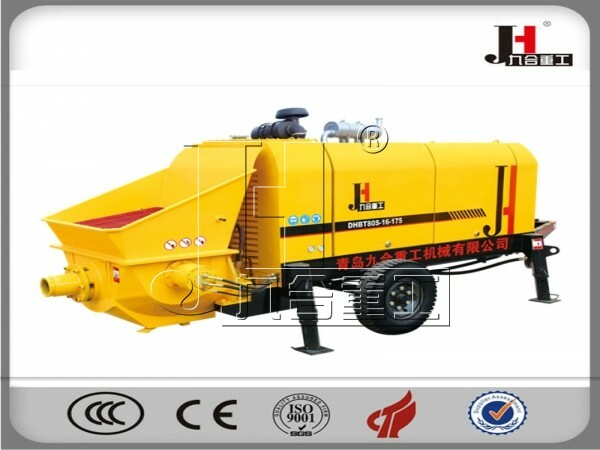 And it has overpressure and overflow function, so that the main pump and diesel engine can be protected effectively. 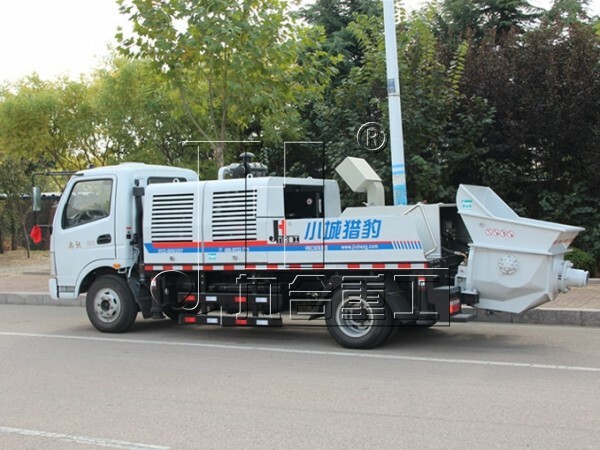 Jiuhe truck mounted concrete pump only adopts Dongfeng chassis and uses it for a long time, since Dongfeng product quality is at the leading domestic level. It has the following features: mature and reliable, powerful, comfortable driving, good performance, favorable price and so on. And it has reached the national Ⅳ emission standard. 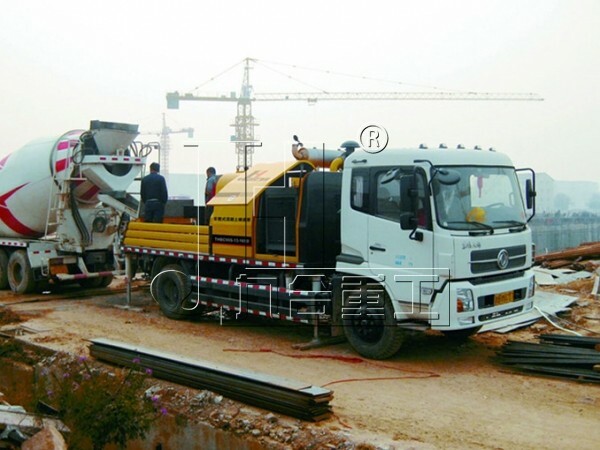 It has been optimized in inner surface wall of hopper, smooth without material buildup, and together with the smooth S pipe and the precious blade angle, all of which makes the concrete be absorbed into concrete cylinder to the greatest extent possible and improved the concrete absorbing efficiency above 90%. The diameter of conveying cylinder is increased to 230mm, for which decreases the round trip abrasion of piston and prolonged its lifetime. Using large diameter conveying cylinder and match the optimized hopper device, it increases the pump’s extreme limit of conveying concrete. It is a highly integrated large-flow automatic reversing device, making minimum energy loss, and the switching between high pressure and low pressure transporting can be realized only by one key without penetration and pollution. Every carefully selected unit can create unique products, making a perfect combination of high quality and practicality, which will surely bring extraordinary performance. The whole machine uses imported original group valve and together with the high quality main oil pump and the excellent assembly quality to have the highest standard of performance and reliability. 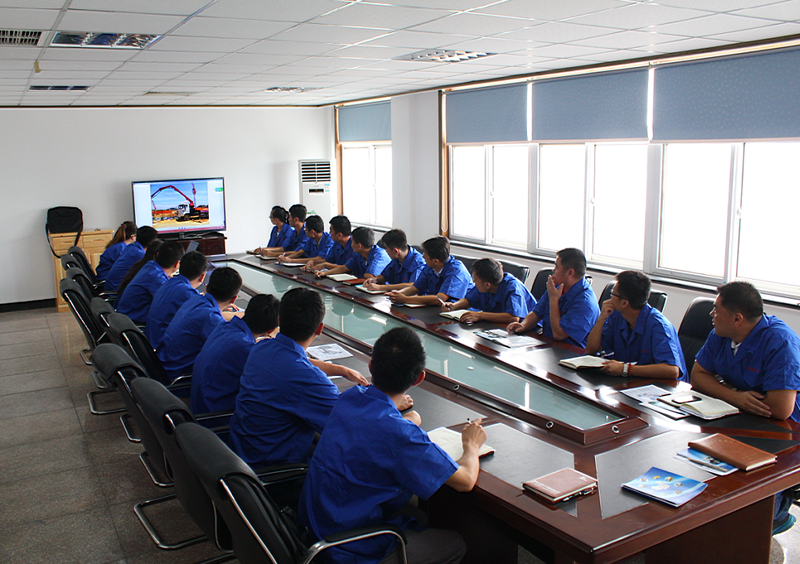 Depending on a number of mature concrete pump technology, it got good feedback from users and warmly welcomed among our clients. 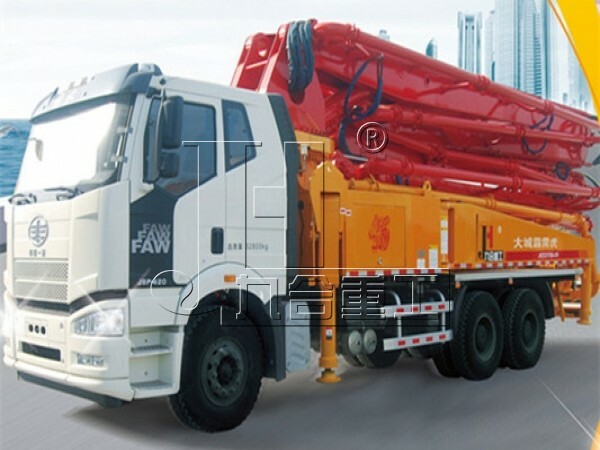 It adopts American Eaton product to make sure hydraulic system safe without leakage. Those components are from American Parker. The radiator is air-cooled type, enabling the machine to work under the allowed highest temperature. The S tube valve uses high manganese steel to make it, overall cast. Easy wear out surface adopts wear-resistant material for bead weld and it is with the advantage of high pressure resistance and highly wear resistance. The two things are made of anti-wearing horniness alloy, they have long service lives. The pistons are precisely processed with imported material, having hydrolytic resistant, wear resistant and high temperature resistant characteristics. The whole layout has reserved room for future maintenance and replacement, making convenient for repairing of other parts. Products are highly modular and standardized, saving lots of time for maintenance and replacement. Wear plates are inner built with large maintenance room, which is easy for replacement. Lubricating system uses automatic multi-point lubricating technology, one-to-one lubrication, and with better performance and prolonged the lifetime of easy wear parts. Main electric elements are from Schneider and LG, the reliability of the electric-control system is highly improved. Automatic protection technology: Diesel engine startup protection, electric system failure and short circuit protection, auto protection of diesel engine on too high temperature water and low oil pressure, speed limit protection of diesel engine, and quick-stop button.